Epictetus, Seneca and Marcus Aurelius. These are the most commonly cited Stoic philosophers for good reason. Unlike other Stoics of antiquity, their works survive in quantity. Other renowned Stoics like Zeno of Citium (332-262 BC), Chrysippus (280-204) and Posidonius of Apameia (c. 135 – 51 BC) have no surviving works. Everything that remains of their writings exists in fragments or quotations used by later authors, which is why so much emphasis is put on those philosophers whose work survives intact. However, I don’t believe that this discounts the value of the surviving fragments. Simply because they are fragments does not mean they lack the deep insight of Stoical philosophy. I want to take a closer look at a Stoic philosopher whom I believe is overlooked and whose works likewise exist in a fragmentary form. Gaius Musonius Rufus (c. 30 AD – c. 101/2 AD) was a Roman Stoic philosopher and a contemporary of both Epictetus and Seneca. He is most notably remembered for being the teacher of Epictetus, but also for being banished from Rome multiple times during the Julio-Claudian Dynasty. We can’t be sure whether Musonius Rufus wrote any books – if he did none survived – but his pupils and later authors preserved many of his sayings and discourses. Rufus was quite diverse in his discourses. His Stoic philosophy commented on typical Stoic topics such as virtue, hardship and indulgence; but also on more unconventional topics like the place of women in philosophy, what the Stoic diet is, and how a Stoic should cut their hair. 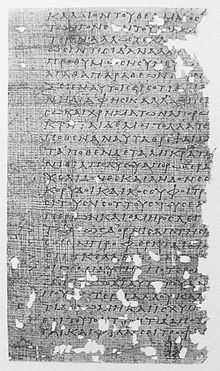 The surviving discourses, which were compiled by the 5th century Macedonian scholar Stobaeus, shows Rufus to be a direct, clear and forceful speaker of the Stoic school. Rufus’ philosophical focus was on ethics and morality. He emphasizes right and wrong action and how we can attain virtue. For example, Rufus says that there is no shame or disgrace in enduring insults or assault, but that the shame comes from committing such actions (Stob, Disc. 10). Likewise, he held a very progressive stance on the education of women. He believed that children of both genders should be educated in the same way. This would ensure that both girls and boys learn to have “…understanding, and self control, and courage, and justice, the one no less than the other” (Stob, Disc. 4). We can see that Rufus held similar Stoic ideals of virtue as his contemporary philosophers. He prized the virtues of understanding, temperance (self-control), justice and courage. All of which he deemed necessary for attaining the virtuous life and all of which can be taught to individuals who lacked them. Although mostly ignored now, Musonius Rufus was quite a well-known philosopher and voice of Stoicism in the first century AD. Although only fragments of his sayings survive, we see that even up to the fifth century they greatly impacted the minds of scholars. It is simply because these writings have been lost that we emphasize other Stoics. However, this does not discount the power of the words that do remain, nor the sway that Rufus held over his pupils during his life. Musonius Rufus deserves the title that Cora Lutz gave him in her 1947 book titled, “Musonius Rufus: ‘The Roman Socrates’”. Hornblower, Simon, Anthony Spawforth, and Esther Eidinow, ed. The Oxford Classical Dictionary. Oxford, United Kingdom: Oxford University Press, 2012. Lutz, Cora Elizabeth. Musonius Rufus, “The Roman Socrates” Yale University Press, 1947. Rufus, C., and J. Venhuizen Peerlkamp. C. Musonii Rufi Reliquiae Et Apophthegmata. Kessinger Publishing, 1822. I recently read King’s translation of Rufus – it is worth it, and a quick read. Some passages are of course bizarre and dated, but there are a few gems that make it worth contemplating.